Hi everyone, in this issue of the Staxel Reporter we’ll be talking about how Tokyo Game Show went, and the new ‘set pieces’ we’re working on. Enjoy! 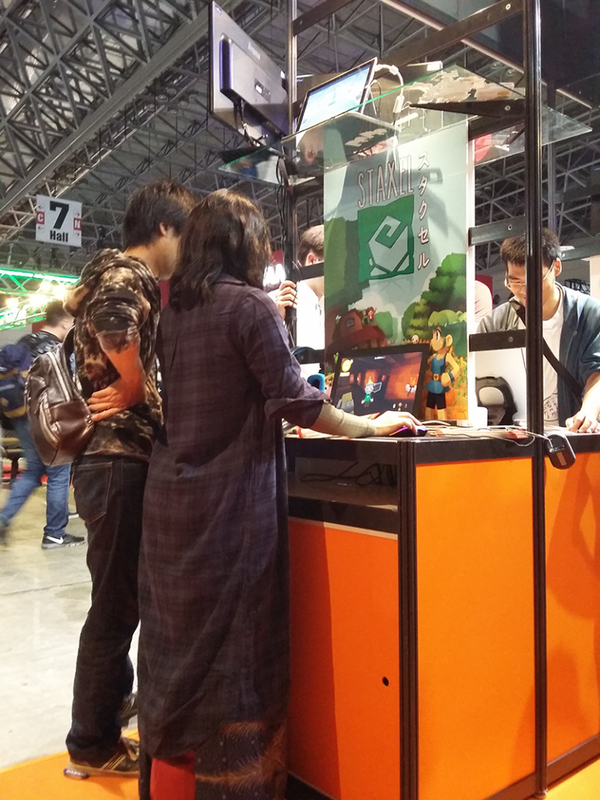 Tokyo Game Show went incredibly well for us. We’ve had so many gamers of all ages coming up and giving Staxel a go, and it really seemed to strike a chord with them! It’s so valuable watching people play Staxel who have never heard of it before. We’ve played it so much over the years that it’s hard to tell what people will struggle with and what they will enjoy. We made a lot of notes watching them play, and we’re currently addressing the issues that the players found! 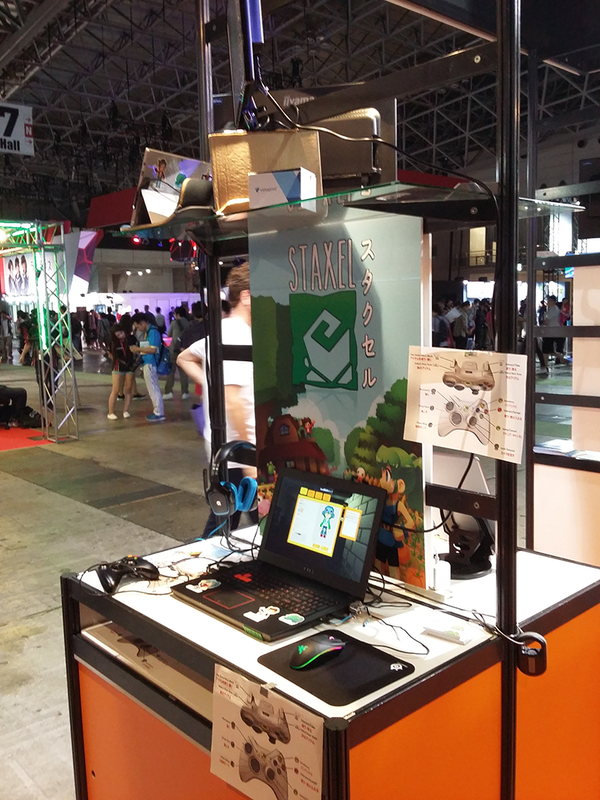 Like Gamescom, Tokyo Game Show showed us that we’re getting so close to what we have envisioned for Staxel! 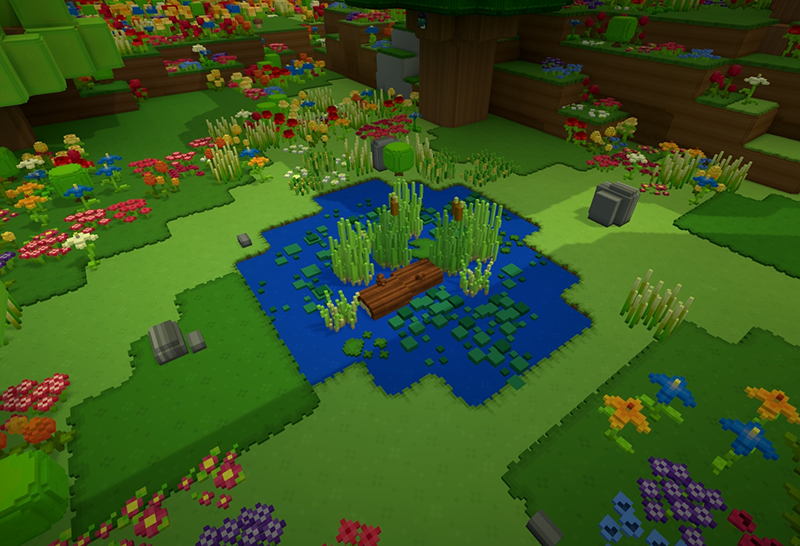 Just a few more features and dash of polish and we’re good for steam! Well, maybe cup of polish… or a barrel. Something we learned pretty quickly was that in Japan, the ‘A’ and ‘B’ buttons that we know and love are swapped around. We had to do a quick fix so that the gamers there could use the controller the way they’re used to. It brought up the good point that while we have so many language translations, there may be other differences we’ll need to take into account when releasing Staxel all over the globe. Time to crack out the books! All in all we had a blast in Tokyo. We met some Staxel fans, hung out with the other devs and saw the beautiful city! We’ve recently begun working on something we’ve ever so affectionately called ‘set pieces’. 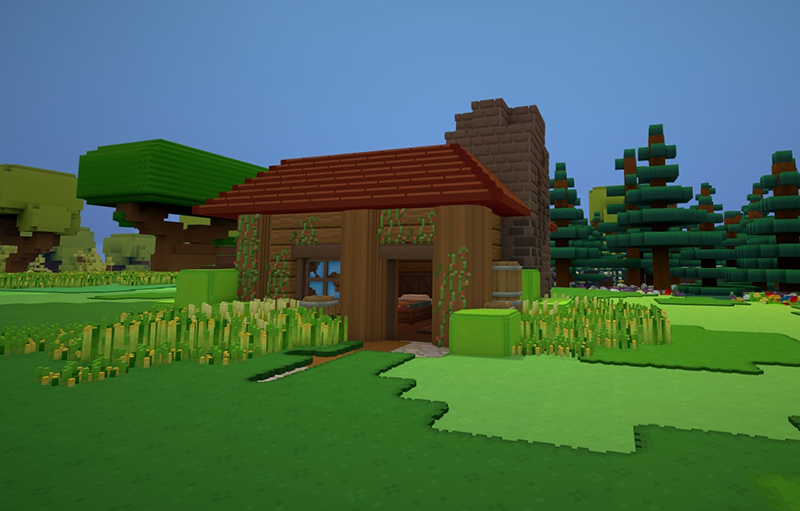 These set pieces are a wide range of different structures that will spawn throughout the Staxel world. Let’s take a deeper look at what I’m talking about. The hermit’s hut is an example of a set piece that you might stumble upon when exploring the island. 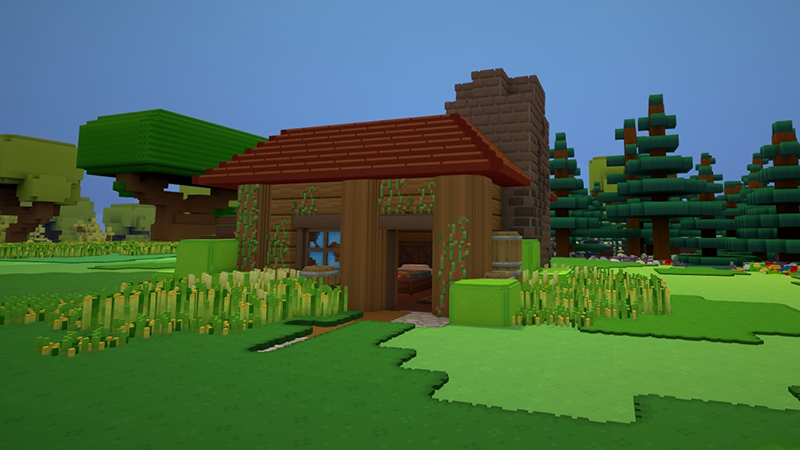 We want to have a variety of different, random things that you might find when exploring beyond the village. Set pieces aren’t restricted to buildings and structures, they also include more natural things like lakes, boulders, tree stumps and so on. Just a few extra things to add a bit of spice to the island. Along with that, we’re also planning on adding 20+ new tree variations, as we only have around 3 or 4 right now. One other thing I want to mention is the beach specifically. So far the beach has been pretty bare and boring, however, we’re also going to be adding a bunch of set pieces to spawn there too! This includes a fishing dock, a lighthouse, a beachhouse and plenty more! I hope that gives you a better idea of what to expect when we push set pieces. They’re not in the public build yet but should be added in one of the next updates!